AMRN ---> Another one that i decided to hold for Monday! This breakout was made under strong volume and accumulation! Everything is pointed for continuation. Next target $23.00. RIOT ---> Is starting to be overbought, however, it is showing lots of upside potential and a break above its 200 Moving Average could boost it for a rocket type move. 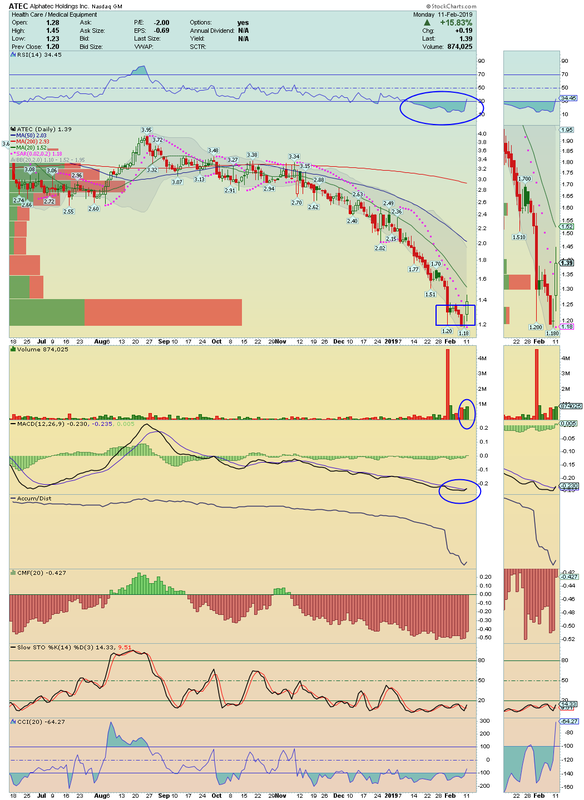 CIFS ---> Bottom Bounce in action which deserve our attention for continuation with eyes on $1.95. 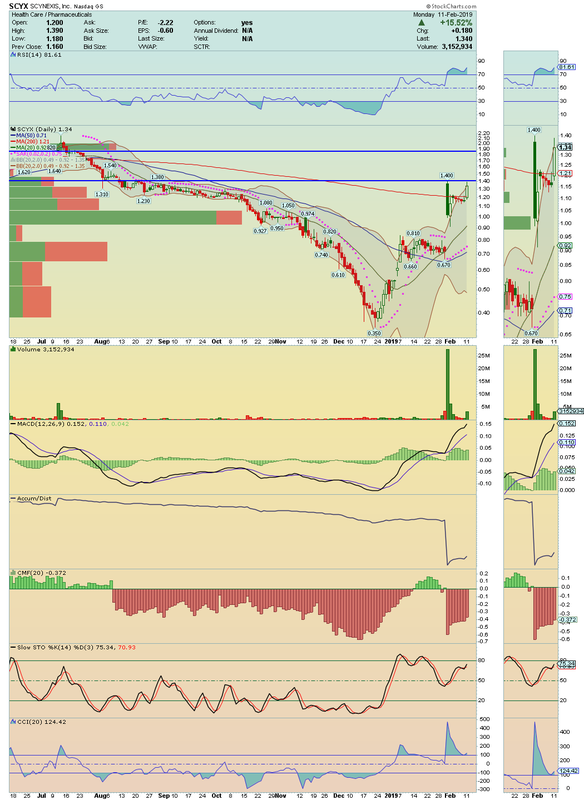 APDN ---> Price filled the gap with full power, going to close at highs of the day! Everything is set to continuation and if so, its 200 Moving Average could be an easy target. 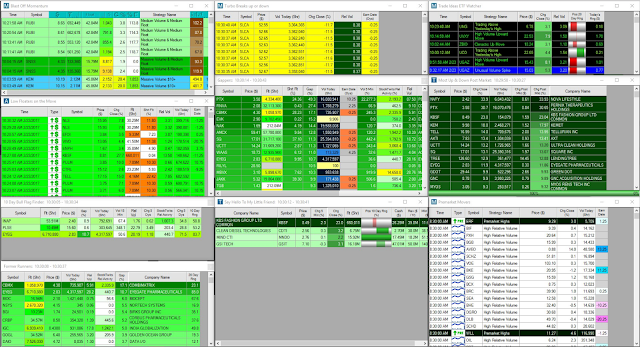 PLAG ---> Nice upside movement under heavy volume on last trade session. 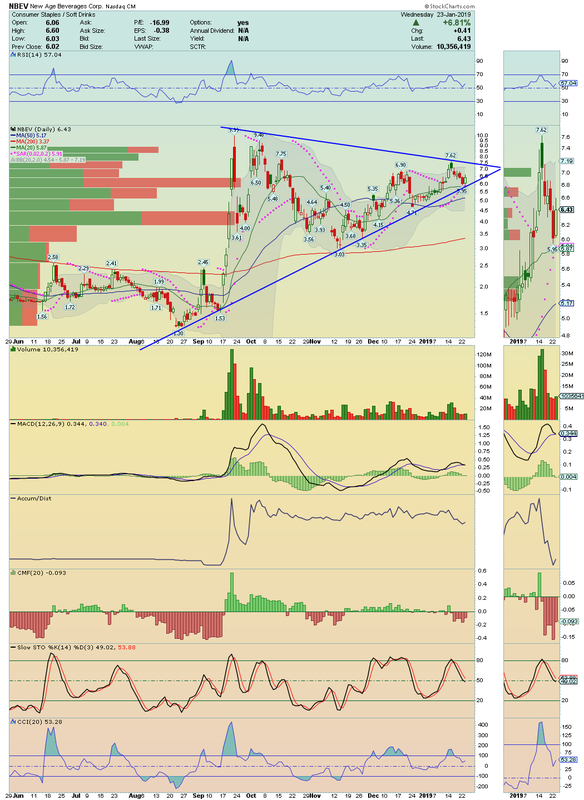 Worth watch for the breakout ahead. If successful, this very tiny float setup could make a very good squeeze. SELB ---> I´ll be waiting for the break up of this trend line resistance and the test to its 50 Moving average! Could run very hard if break that level. BE ---> Nice breakout under strong bullish volume and buying pressure. Looks ready for a Short Squeeze. If you are searching for one trading service, this one is powerful and i recommend to all. 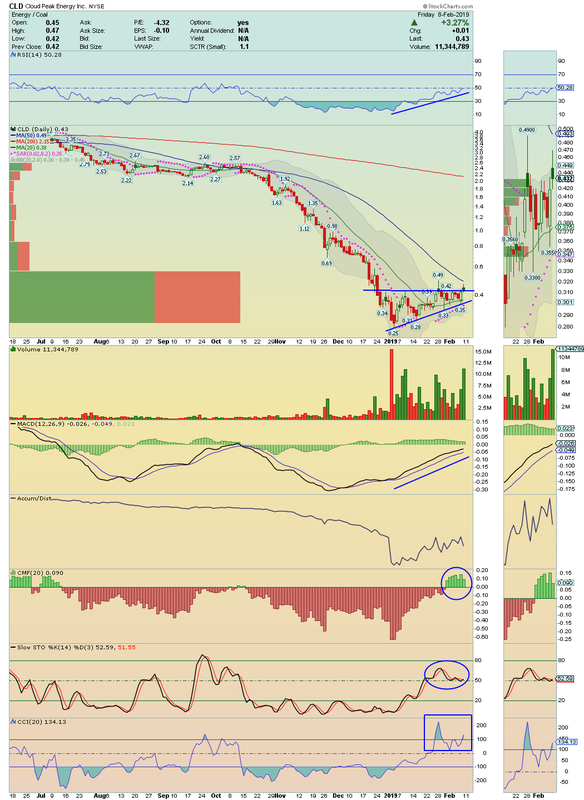 ATEC ----> Extremely oversold setup with first positive divergences on chart!! Bottom bounce seems activated. 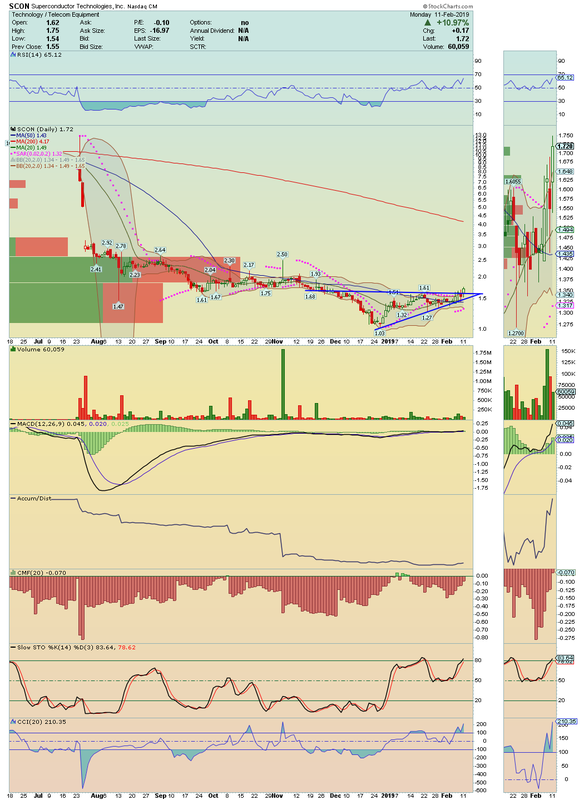 Buy opportunity here for the break above its 20 Moving Average and initial target at $1.70! 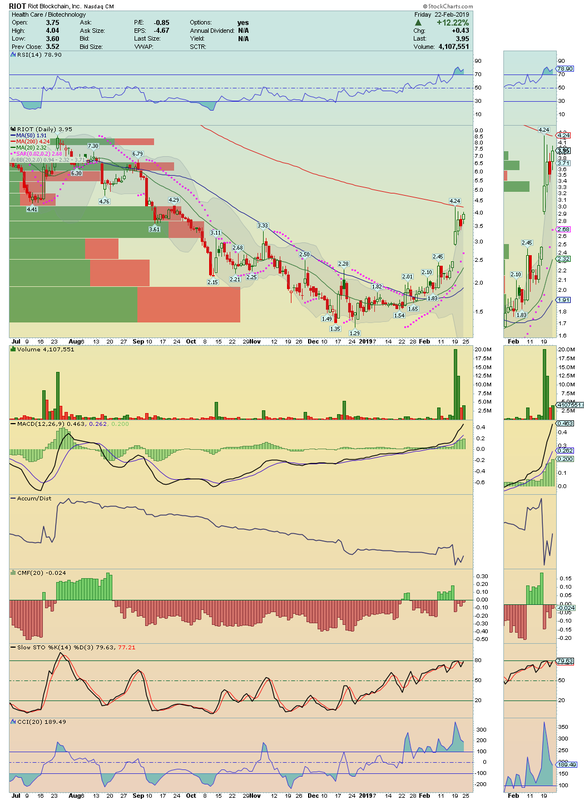 SCYX ----> Price is trading in Overbought land, however, it is showing strong Momentum and a break above $1.40 could boost it for an easy squeeze. Targets $1.54 and $1.80! 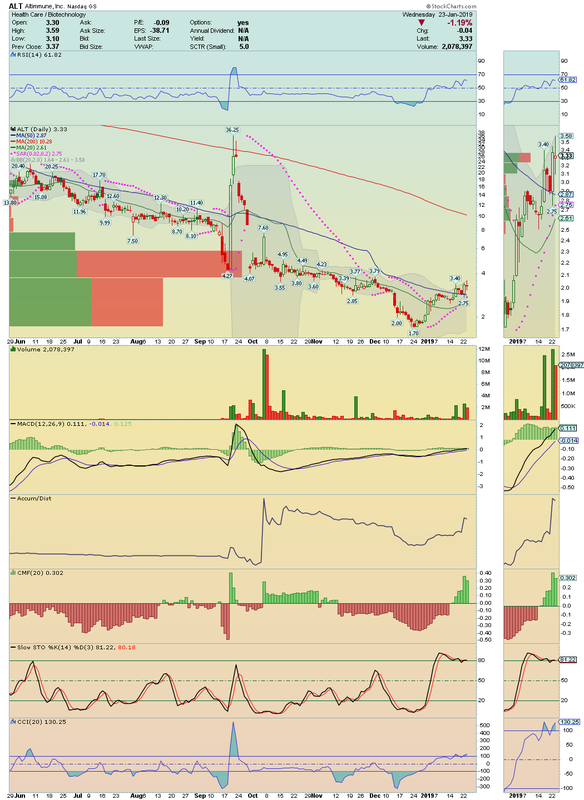 FET ---> My price target remains at $6.90 and $7.60! Long and Strong! 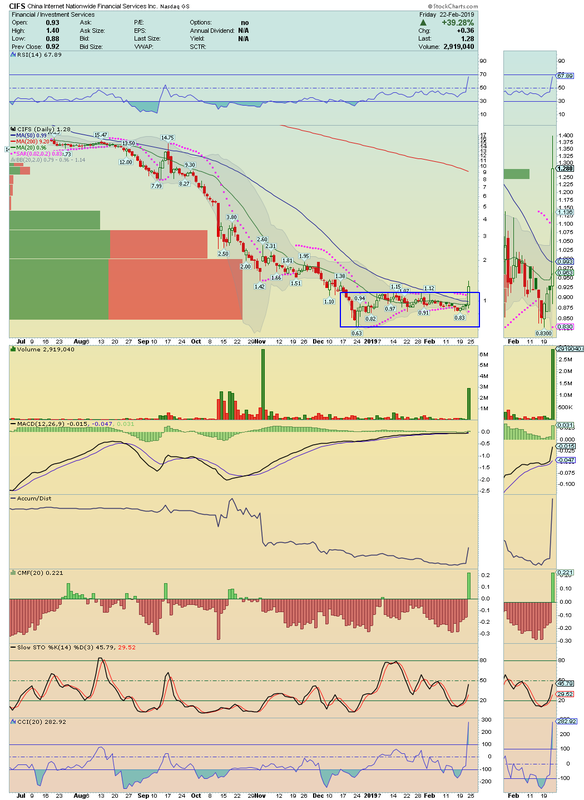 AMRH ---> Strong volume in last trade session!! I´m waiting for the Coil Break. Could make a vertical move. 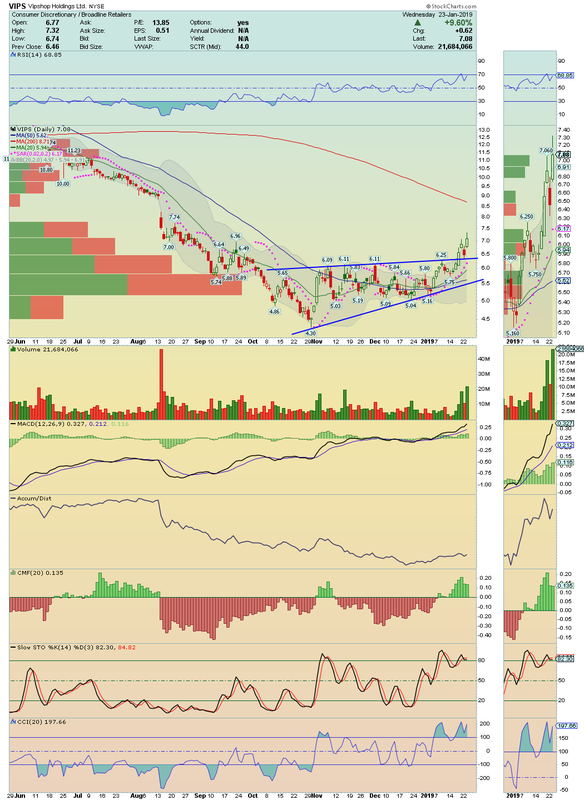 CLRO ---> Another tiny float setup ready to break higher! 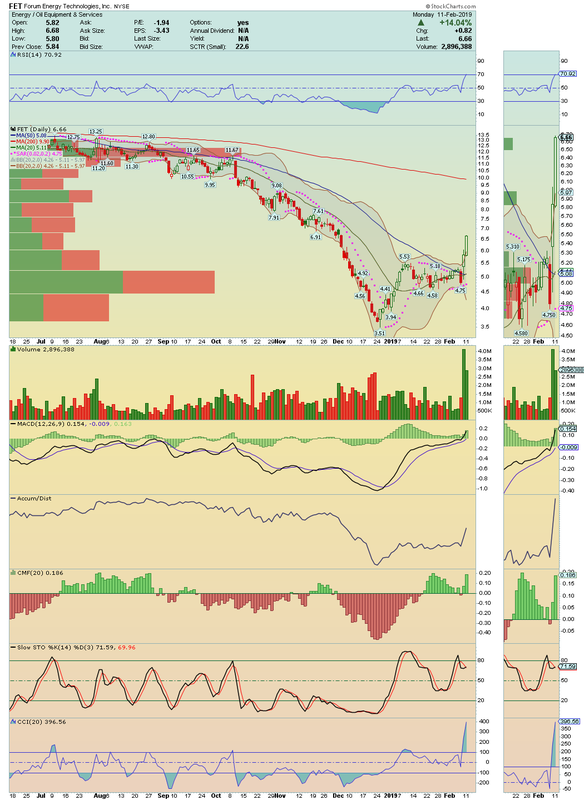 AST ---> Made a nice move on volume! It is also a former runner and is gaining momentum. 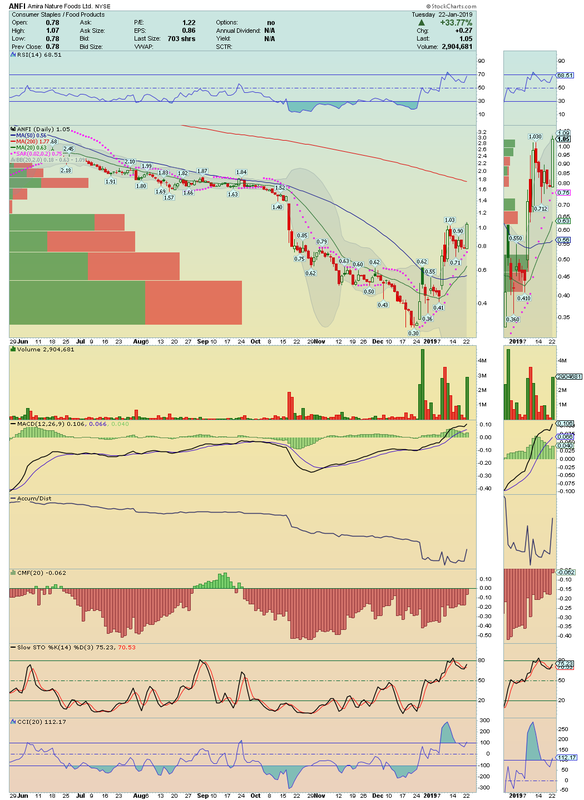 I took a long position for $1.05 and $1.20! SCON ---> All set for the Big Move!! 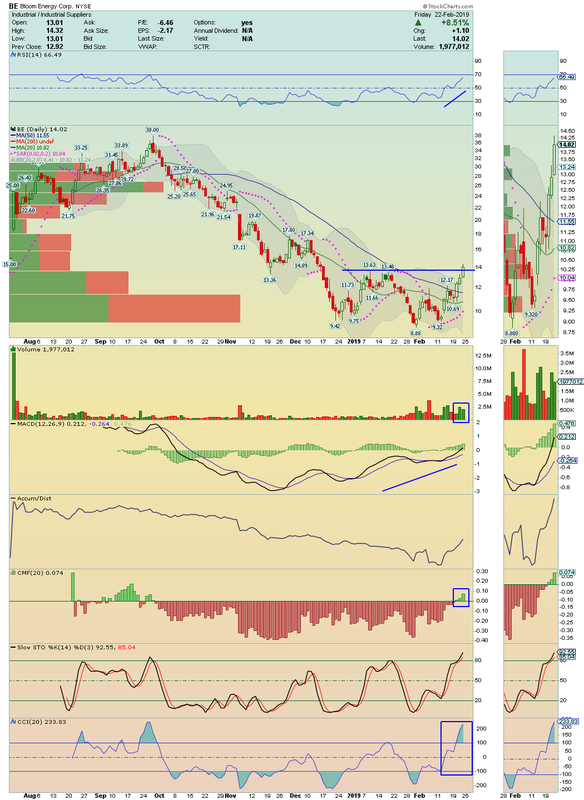 My initial target is $2.00 which is too the next strong resistance area. 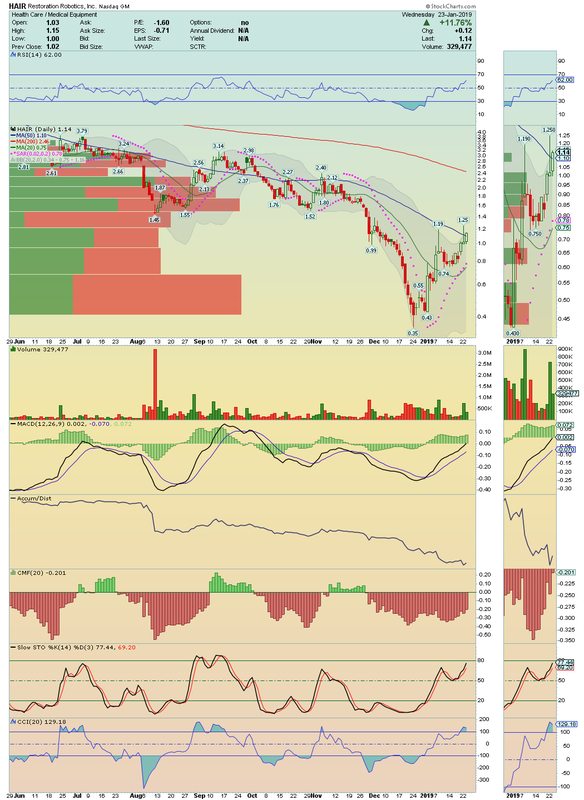 CLD ---> It is in Breakout Mode with the price looking well sustained. 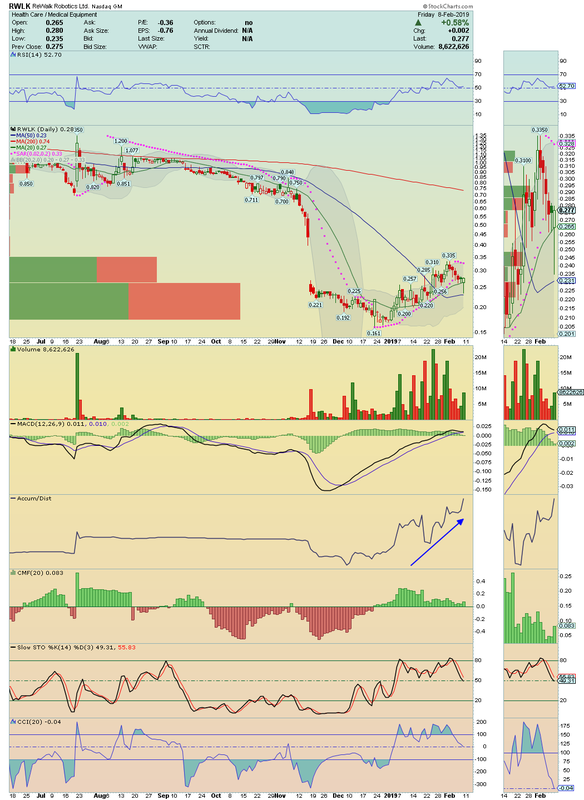 Things could go hot on the break above its 50 Moving Average which could run easily till $0.90´s area. 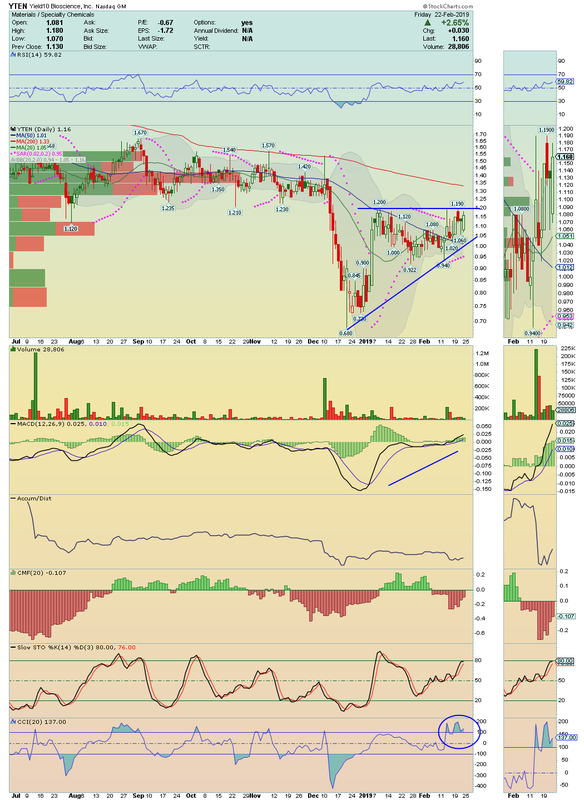 IPCI ---> Another one in breakout mode on extended volume! 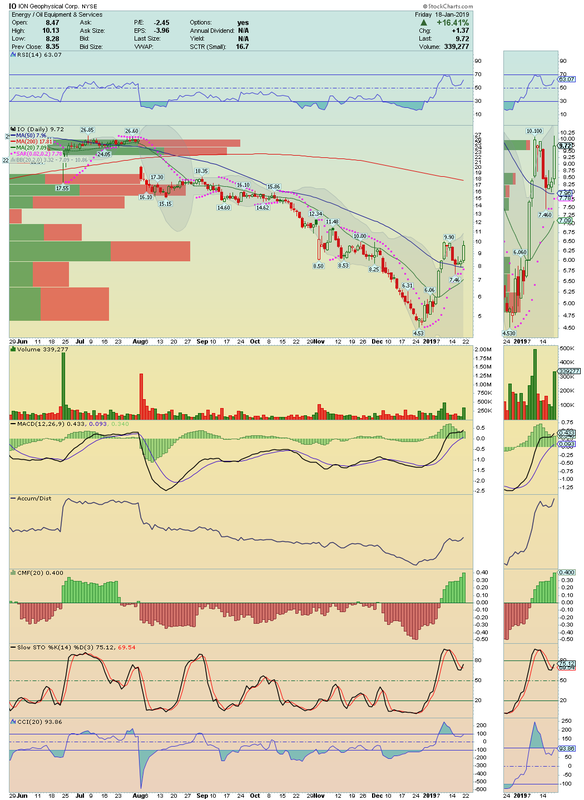 Over $0.39 it could hit fast $0.60´s area fast! RWLK ---> 20 Moving Average is proving to be a strong support and a great Buy area!! 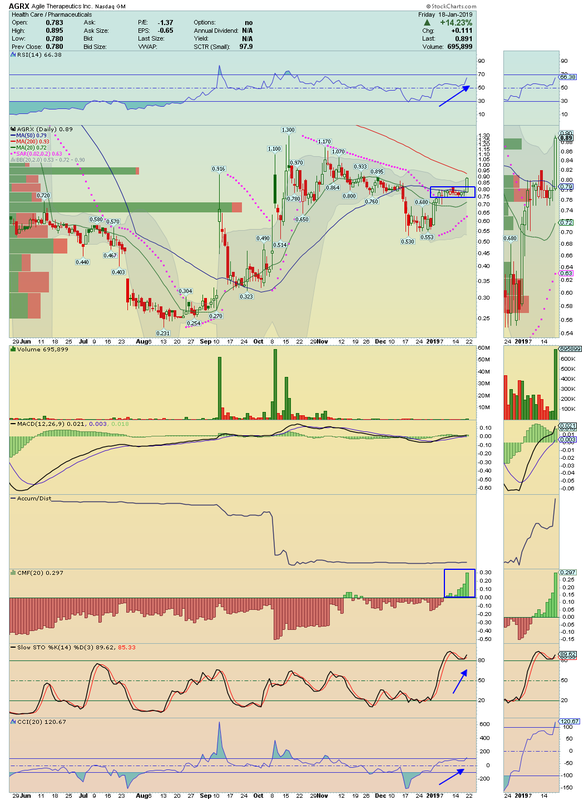 This one is under heavy Accumulation being able to pop easily till $0.335! 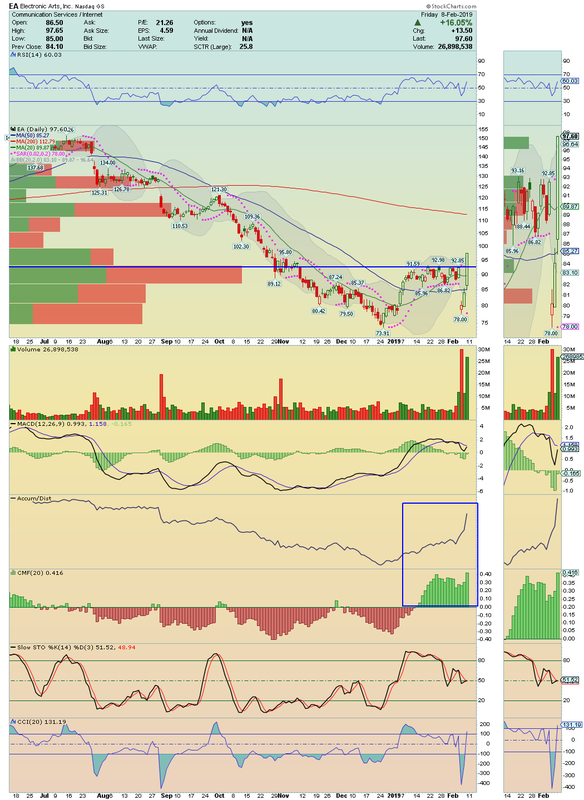 Volume in last trade session was strong and bullish! Worth watch closely. 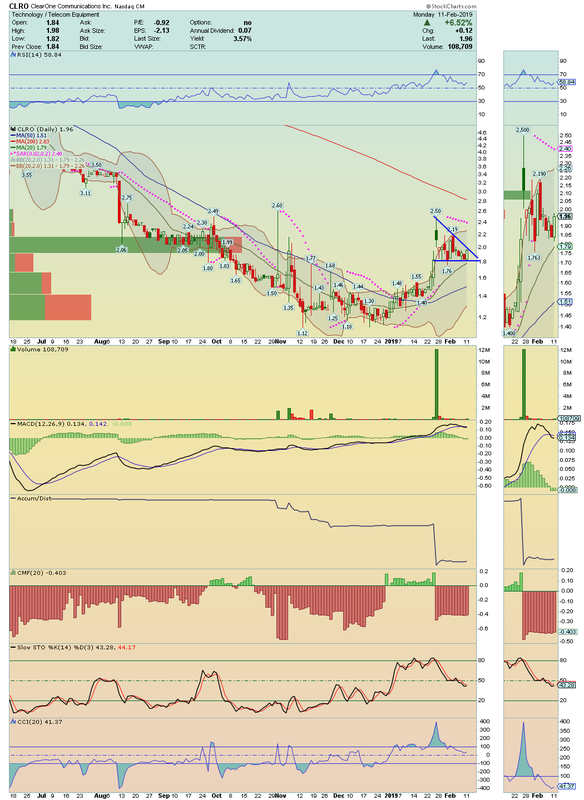 SCON ---> It is trying to break up a strong resistance area. 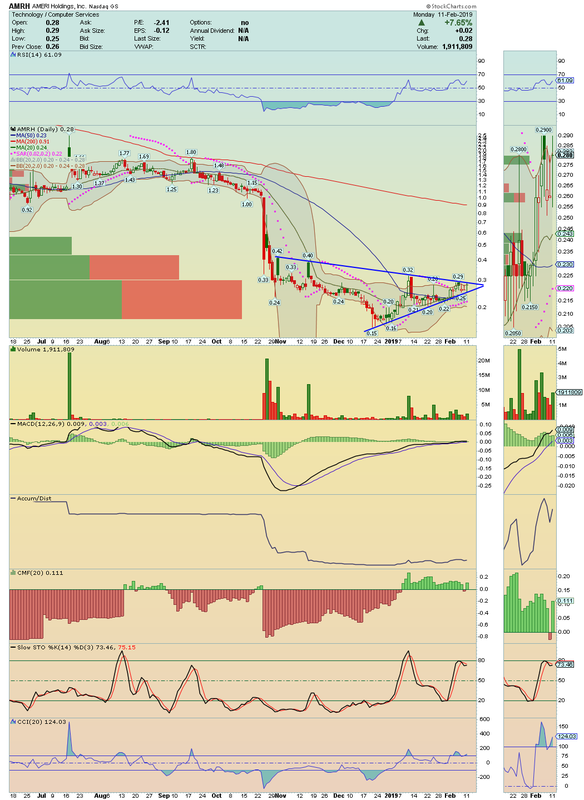 If successful, next spot could be $2.00 area. Buy opportunity here. GTXI ---> Coil Break watch. 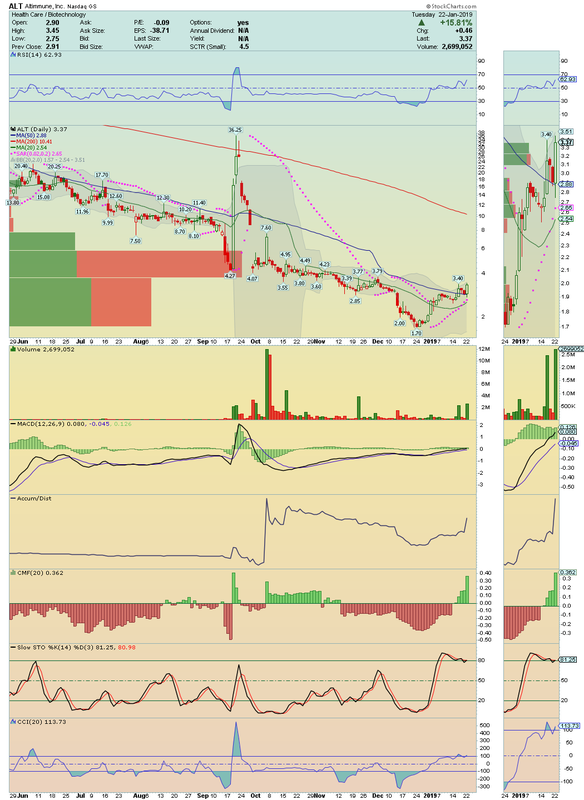 PYX ---> Seems to be under strong momentum and is about to break above its 200 Moving Average. If successful, $21 and $27 areas could be easy targets. Tiny Float, Highly Shorted, could go crazy. 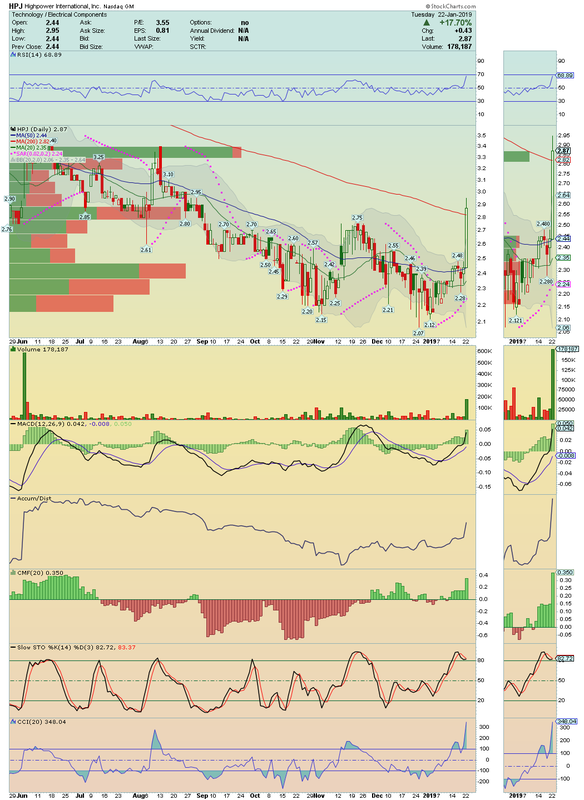 FET ---> Made a turbo Breakout following Earnings! 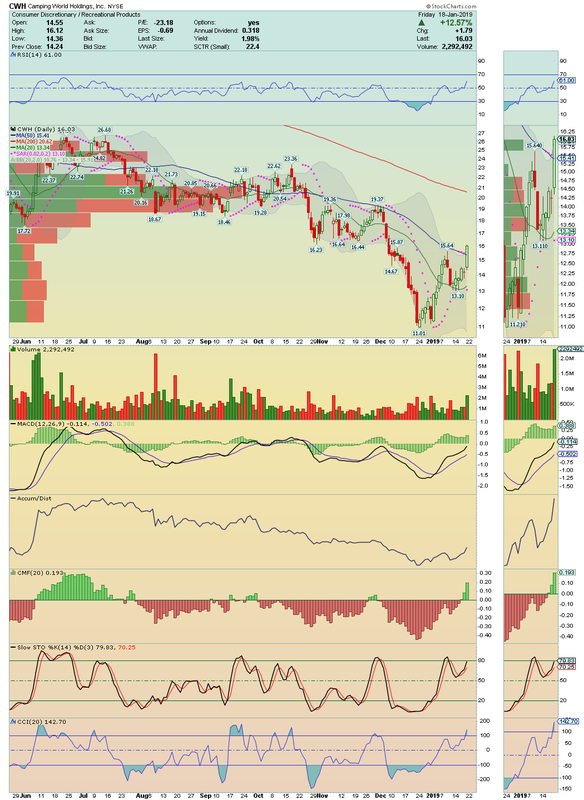 Watching for continuation and Trade Idea with a buy at $6.05 for $6.90 and $7.60. SELB ---> Great move from the bottom, great gap fill and solid upside movement on last trade session with bullish volume, going to close near of high of the day! 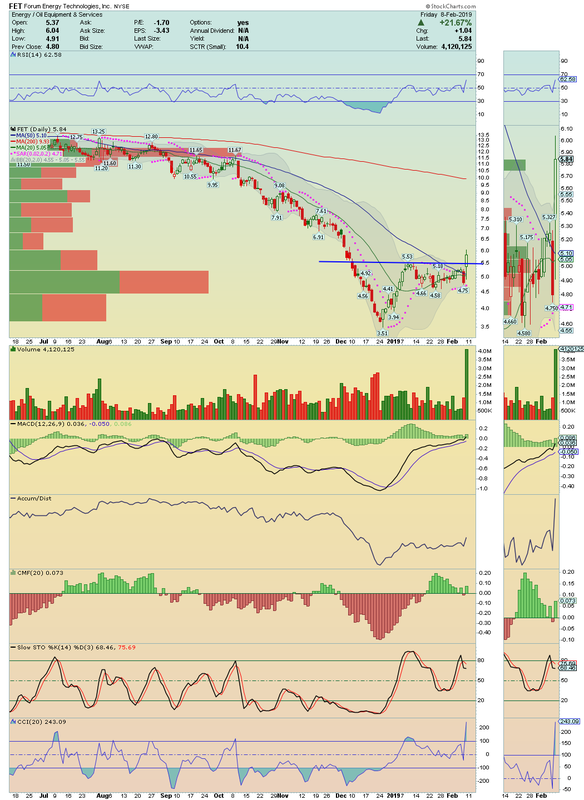 I´ll be watching closely continuation and Trade Idea with a buy at $2.20 for $2.80. EA ---> Solid Breakout. Swing Trade on the table with target its 200 Moving Average. 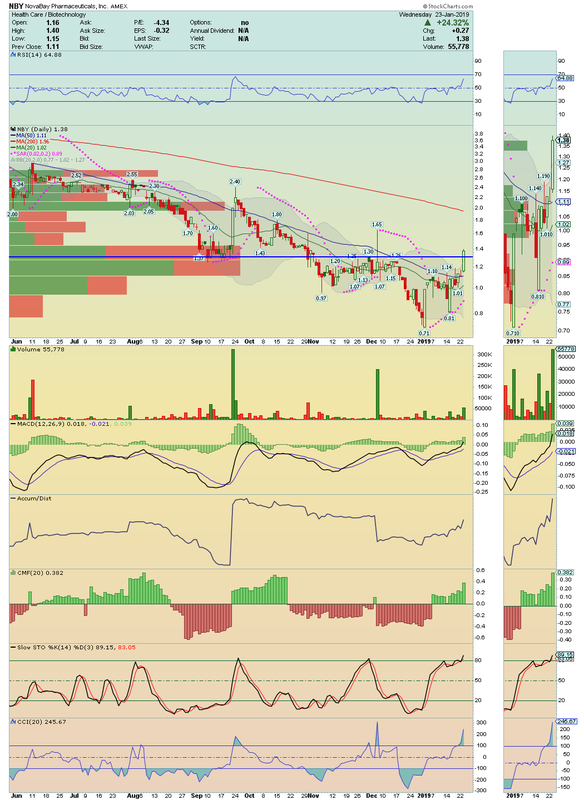 MNTX ---> It broke up an intense resistance area with strong and bullish volume! Clean room till 200 Moving Average. 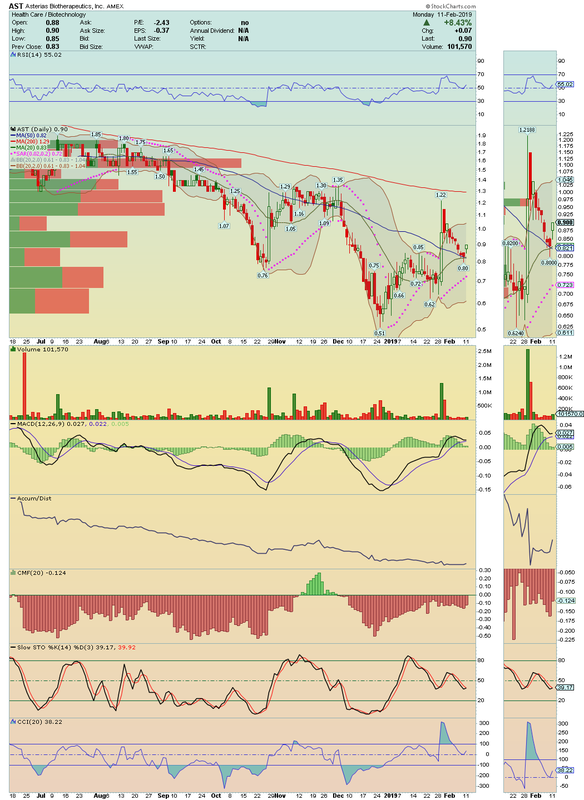 SGYP - - - >> This setup reclaimed its 50 Moving Average. Trading under strong accumulation and buying pressure, it seems ready to move toward its next Gap. Stop loss that i recommend is located at $0.28. NBEV - - - >> Following the trend, NBEV is proving here a buy opportunity with propose the break above its trend line resistance. ALT - - - >> Weak hands jumped out. 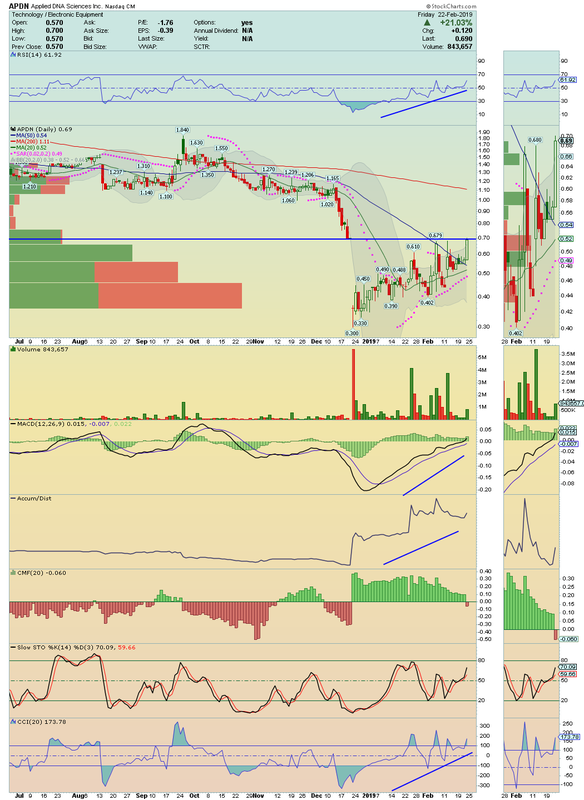 Stock held up very well its last gains on strong volume again. A big squeeze seems now imminent. NBY - - - >> This setup provided us a magnificent breakout under strong Momentum like technical indicators are showing. 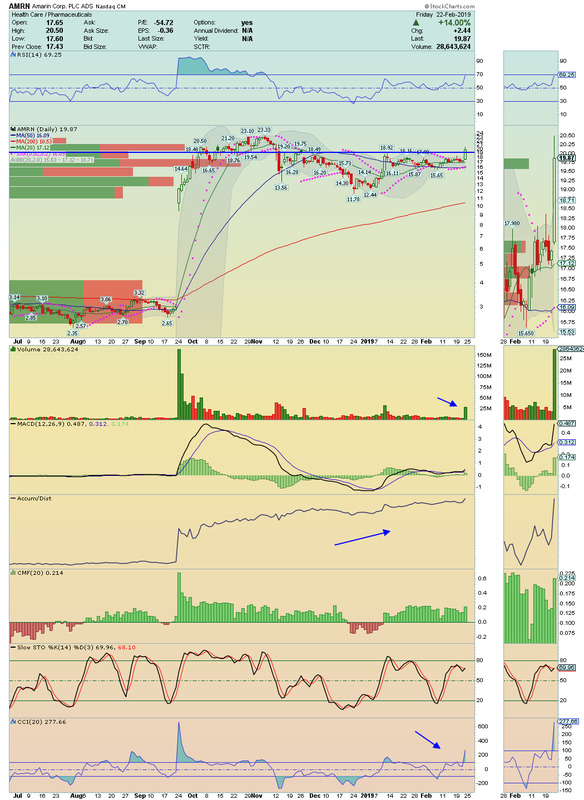 I'll be watching for consolidation and a possible entry. HAIR - - - >> This setup is doing a great recovery since it touched the bottom, now crossing and closing above its 50 Moving Average. 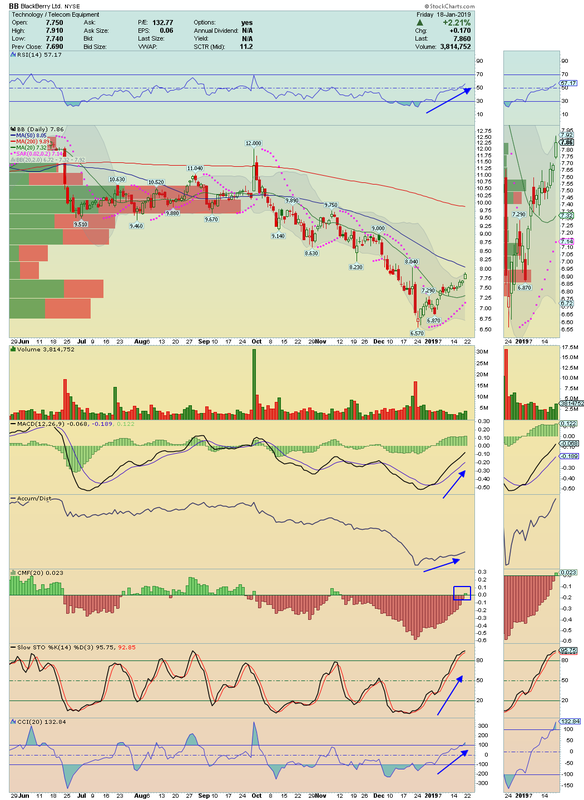 Indicators are showing that buyers are in control and price seems ready to break higher. Follow the trend. VIPS - - - >> In last trade sessions, price broke out from a strong resistance area under high volume, rejecting any pullback. A new uptrend was born here. I'll trying its 200 Moving Average. ANFI - - - >> Tiny Float Setup in Breakout mode under heavy Buying Pressure. Could run easily till its 200 Moving Average. IFMK - - - >> Nice coil break with decent volume. Clean room ahead to run. Targets watching $1.43 and $1.64. ALT - - - >>> If the history speaks for itself, based on the volume this one could double or triple again like in September. Stay tuned to the breakout ahead. 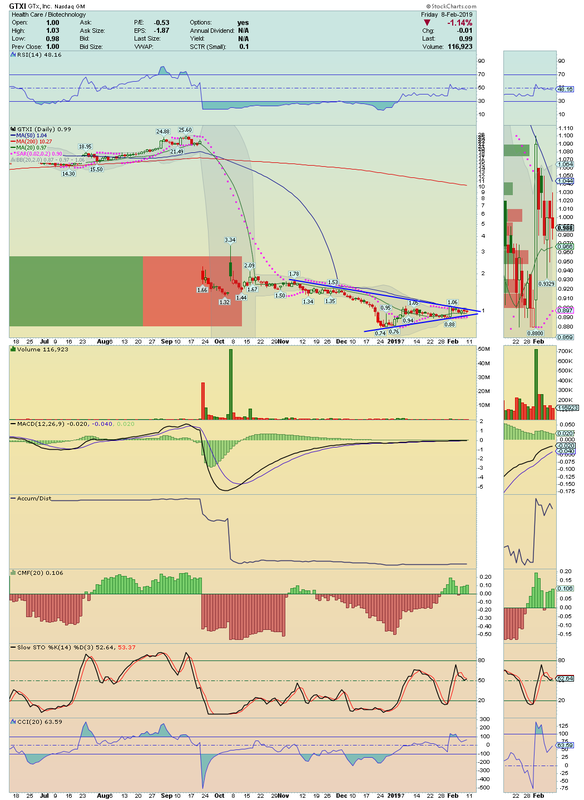 APTX--->> Oversold setup showing signs of a possible recovery with a huge gap ahead to be filled. Watching for a hard bounce. HPJ - - - >> Crossed and close above its 200 Moving Average under strong Momentum. Go long over $2.95 to try $3.40. 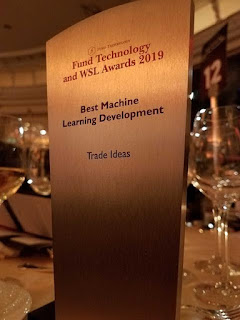 TROV - - - >> This setup is on my blog for the second consecutive day and definitely deserve our attention. Stock made a steady trade session, with huge volume for the third consecutive session and is now about to break up its 50 Moving Average. 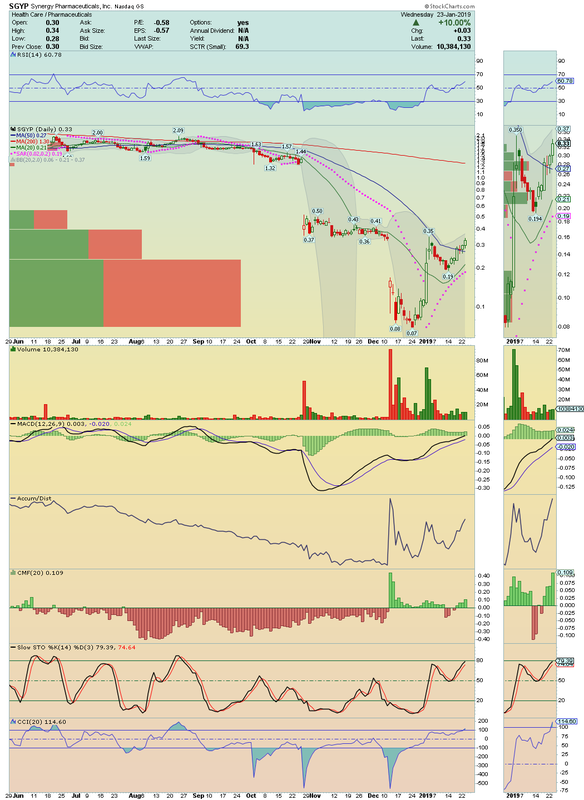 If successful TROV, could make a great squeeze. Stay tuned. AMD ---> Money is clearly flowing into the stock with heavy Accumulation! 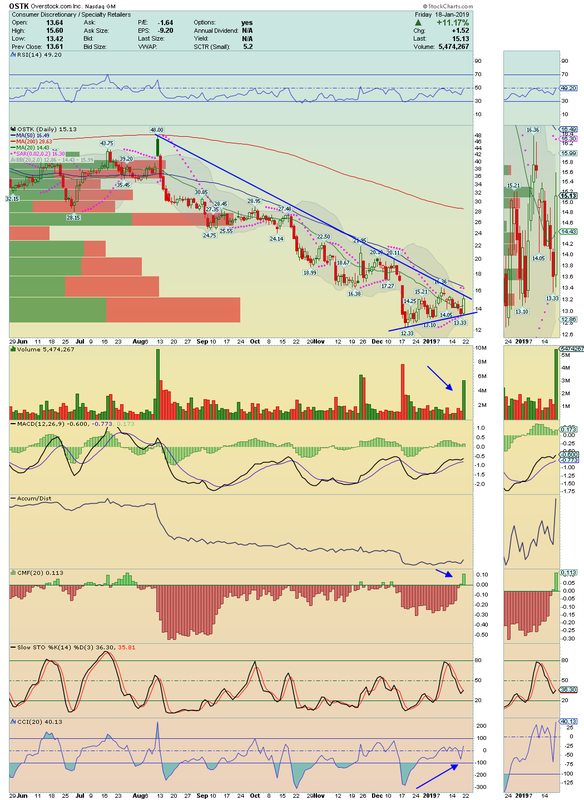 Price seems now ready to leave the base formed on top of its 50 Moving Average and break above its Down Trend Line!! In the next coming days, north should be the way. 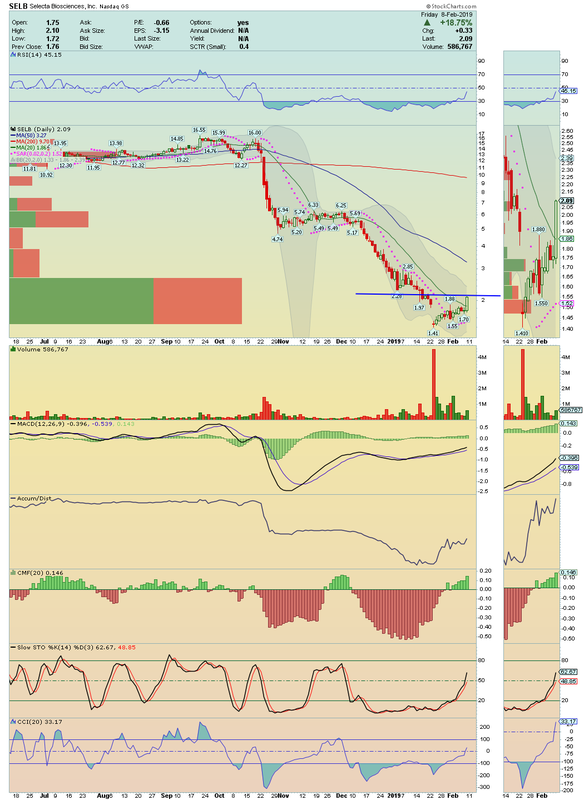 Ready for a Swing Trade. 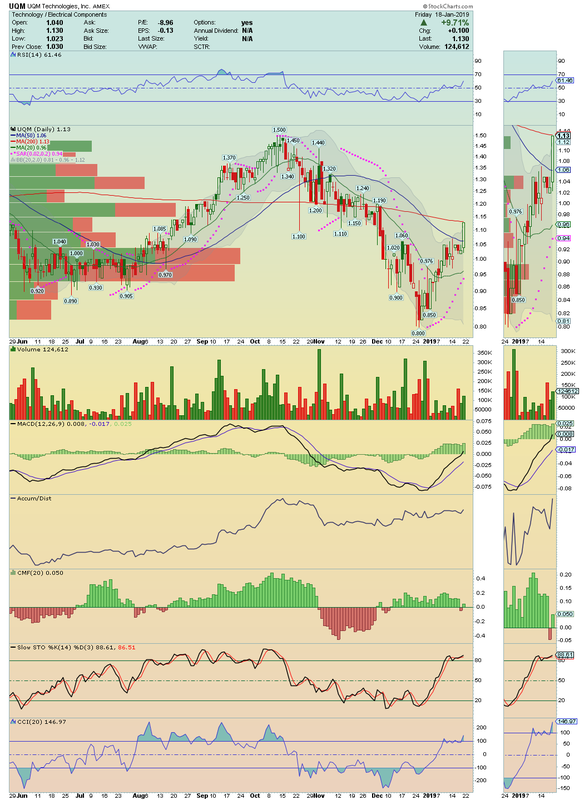 BB ---> Has made a remarkable recovery since it touched the $6.57 level. Now, it will be very interesting to see if it can break above its 50 Moving Average. Technically, it has everything set to make a great squeeze! 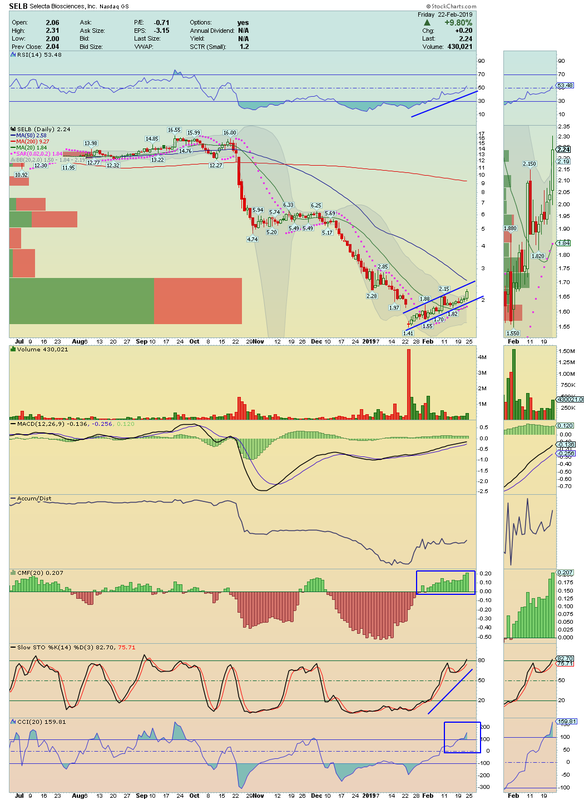 Another one that could provide us a great Swing Trade. 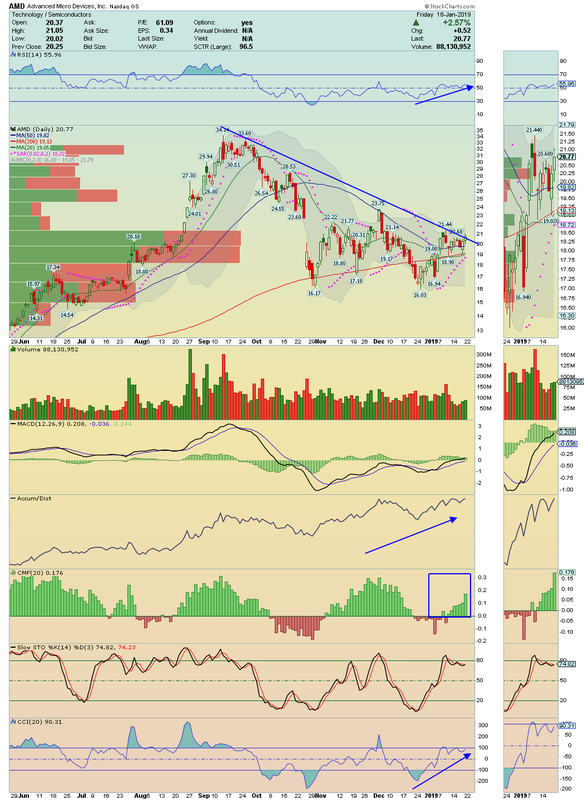 AAPL ---> Another nice recovery made from the bottom and seems ready to break toward its 50 Moving Average! 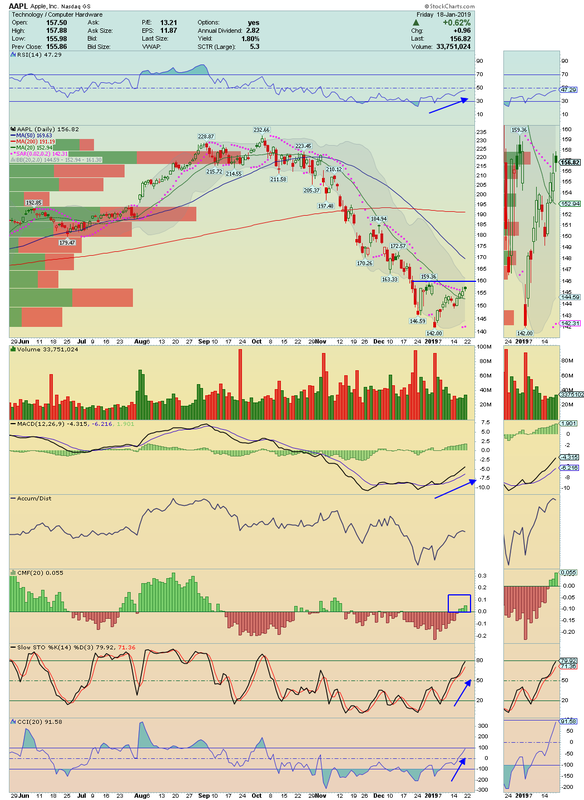 Chart is displaying solid divergences which a buy at $160.00 could be a great choose for a Swing Trade. 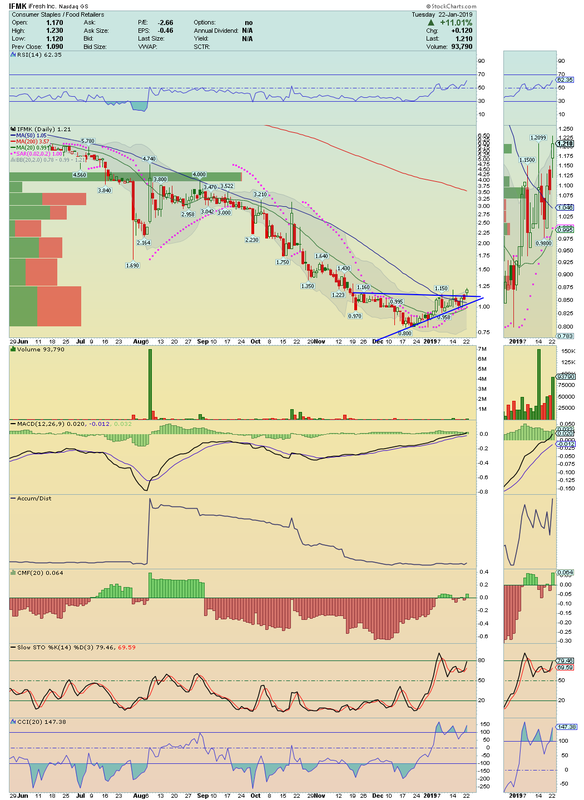 OSTK ---> Trading under huge bullish volume, OSTK is about to break above its Down Trend Line! 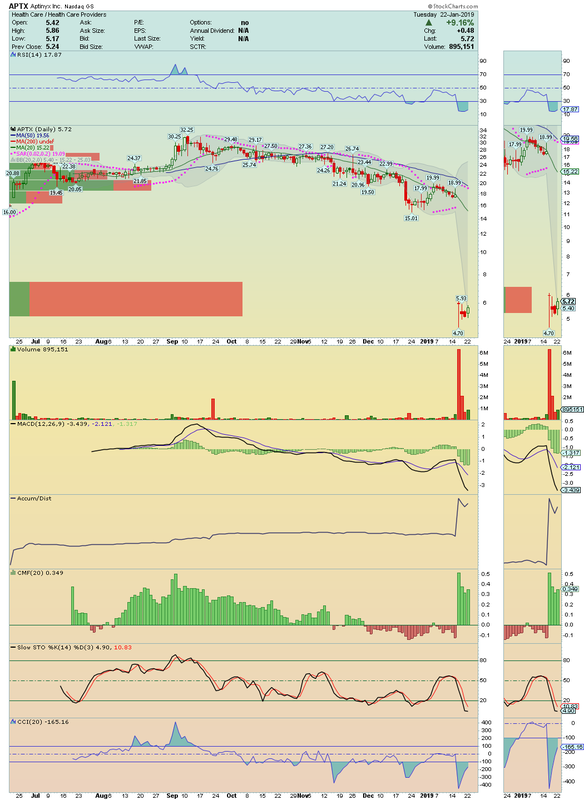 This setup has a high percentage of short float, about 60%, and only 21 Millions of shares float. 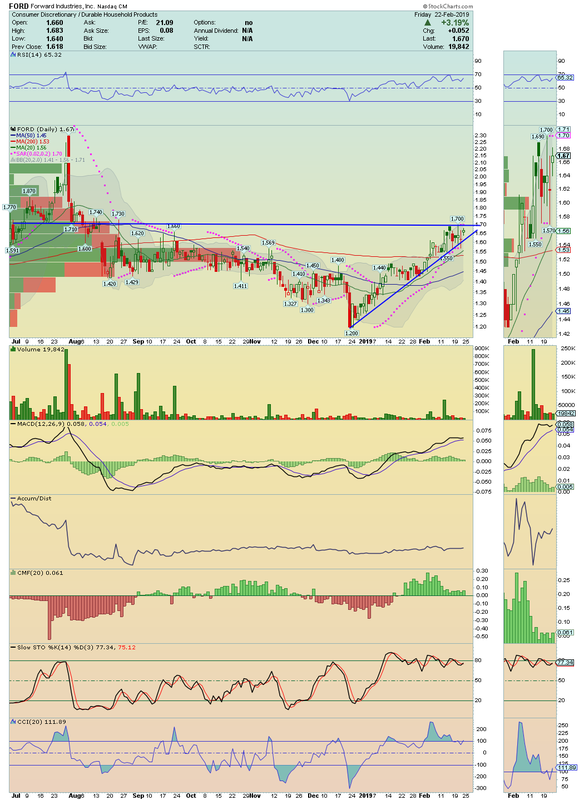 The break above its Down Trend Line ahead could open the door for a massive Short Squeeze. 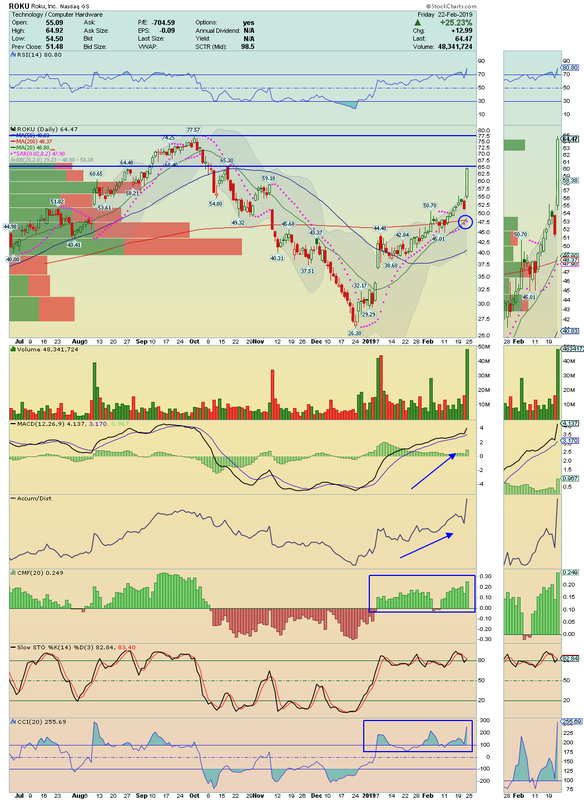 IO ---> Another candidate for a massive short squeeze! 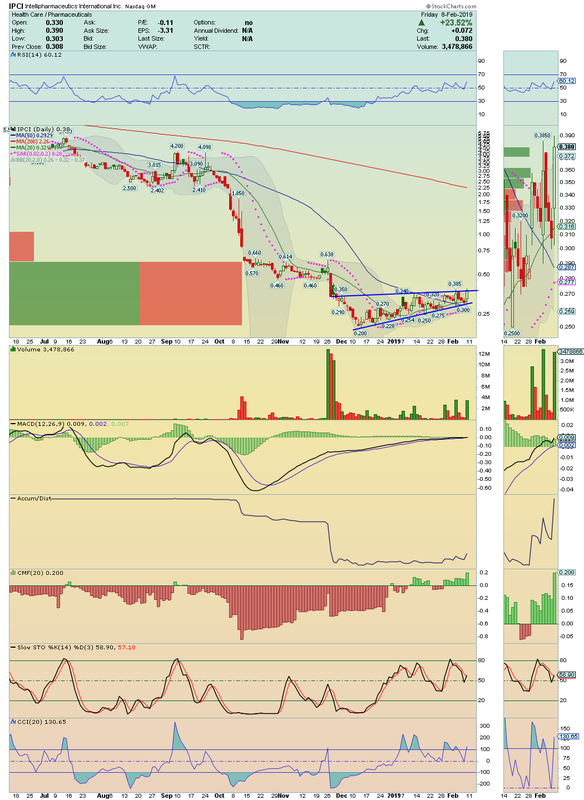 Stay tuned to the breakout over $9.90! IZEA ---> Crossed and close well above its 200 Moving Average under high bullish volume! MACD and RSI indicators are displaying Accumulation on stock, which leads me to believe that will come more upside movement in the next coming days!! 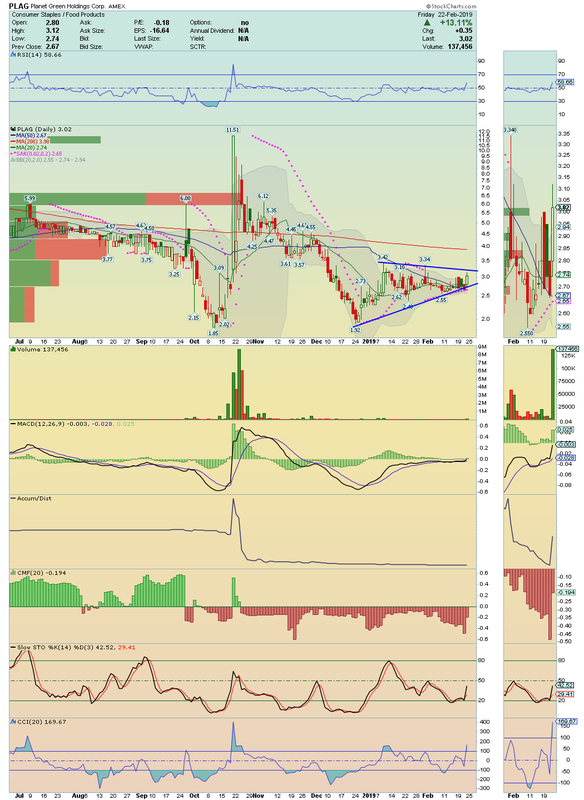 Long Idea over $1.65. 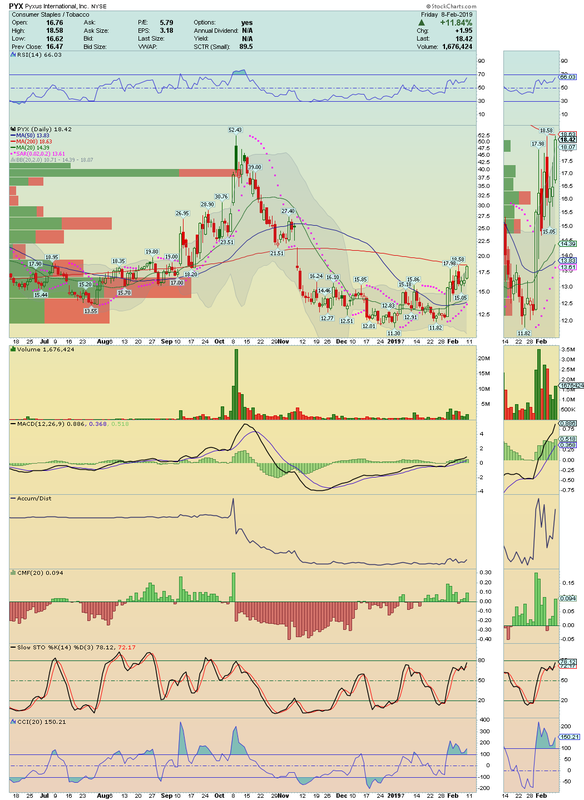 UQM ---> Is under strong Momentum! Could squeeze higher on the break above its 200 Moving Average. Watching! AGRX ---> This setup broke up its solid base formed around its 50 Moving Average on strong Bullish Volume! Technically, it is ready to make a nice squeeze if break above its 200 Moving Average. CWH ---> Made a strong Breakout under huge Buying Pressure and Accumulation, going to close near of high of the day. This setup has lots of room to climb and high percentage of Short Players, about 30%, ready to cover! Worth watch. 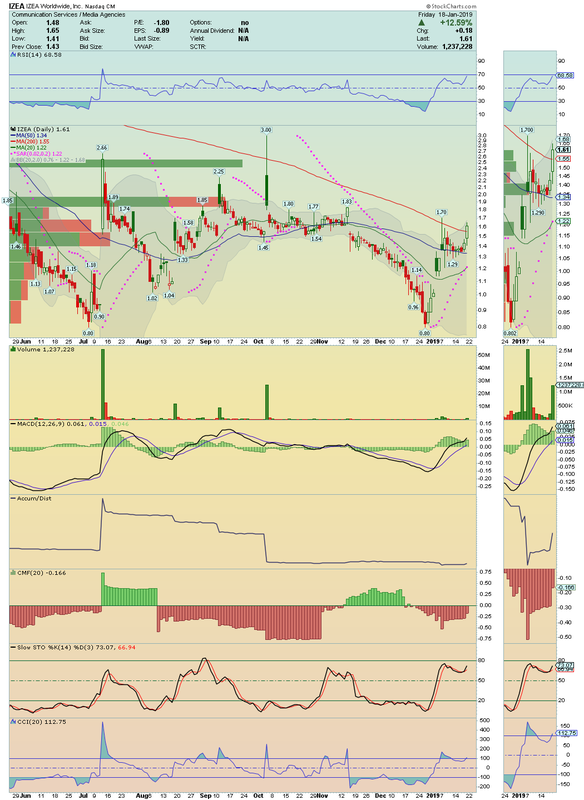 TROV ---> This Bottom Player looks ready to Soar! 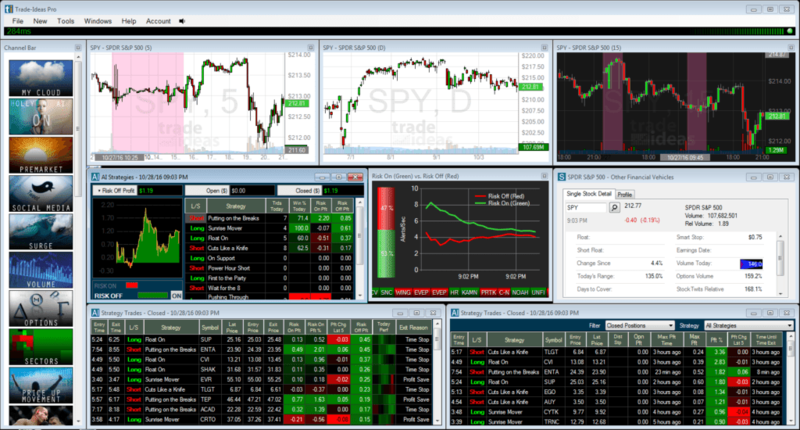 The volume of last two trade sessions is showing that buyers are aggressive. News Coming?? Anyway, a break above its 50 Moving Average with similar volume, could boost the price for a big run!! Low Float stock with some percentage of short float!! On watch!